Are you having trouble with your drains in Fairport? If you are, then you know just how frustrating it can be. Whether you have one stubborn drain, a whole bathroom full of them, or you feel like all of your drains are becoming unpredictable, feel free to call in the plumbers from GT Campbell. We would love to help you find a solution that works for a long time and that gets your drains flowing again. Sometimes, drain cleaning is as easy as putting a plumbing snake down your pipes. Our Fairport, NY plumbers come with professional grade plumbing snakes, so you don’t have to worry about the snake getting stuck in your pipes and causing more damage. 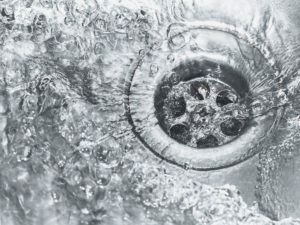 If you have a single clogged drain – even a stubborn clog! – this method can usually loosen the clog and get things back to normal. Drain cleaning in Fairport, NY gets more complicated when you have more drains clogged. When several drains are clogged in one area of the house, it usually means that the clog is deeper in your pipes. We will use advanced technology to locate the clog, then access the pipe and remove it. We may be able to clean your pipe or we may simply install a new piece of pipe there. If you are having problems with all of your drains or with drains all over your house, then we’ll look at your sewer to find the problem. We can send a camera down it, to see where the clog is. Once we’ve found it and we know what created it, we’ll set up a solution for getting that clog cleaned out. No matter where your clog is or how much work it takes, we will do our best to have everything back to normal for you soon.